Storage Spaces Direct (S2D) is a new distributed data storage technology that appeared in Windows Server 2016. Due to Storage Spaces Direct, you can turn local drives of several servers into a fault-tolerant, scalable storage protected from failure of both separate disks and entire servers. 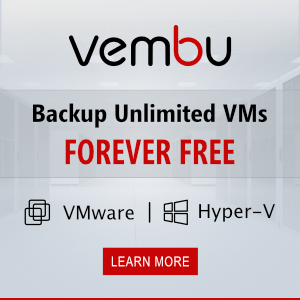 The cost of this software storage is much less than that of a SAN or NAS due to simplified scaling (up to 16 servers and 400 drives) and the opportunity to use different drives (including SSDs and NVMes) enables significant performance. S2D is the further development of Storage Spaces technology and allows to merge the local drives of the Hyper-V cluster nodes into Storage Pools. You can create virtual volumes (disks) on these drives and use them as common Cluster Shared Volume (CSV) to store Hyper-V virtual machines files and SOFS file shares. If you need to expand the storage size, just add a new server or drive to S2D. In general, Storage Spaces Direct is the answer of Microsoft to VMware vSAN. NVMe (Non-Volatile Memory Express) are SSDs connected through a faster PCI Express bus instead of the classic SATA/SAS interface. Later different types of disks can be combined in various arrays (by speed or size). For example, it is reasonable to locate the cache and application transaction logs on faster NVMe SSDs, and it is better to use slower and less expensive disks to store large files that do not require high performance to access them, etc. In order S2D to work, you have to create a failover cluster with the following requirements to its nodes. The following components must be installed on the servers: Hyper-V, File Services roles and Failover Clustering feature. In addition to the system drive, there must be at least one physical disk in each node. All disks that you are going to add to the Storage Spaces Direct must be unformatted (i.e. not partitioned and containing no partition table). Suppose that you have created a failover cluster of two servers running Windows Server 2016 (you can create it even in a workgroup). Note. If there is an even number of nodes in a cluster, you will have to configure a witness node. If there is an uneven number of nodes, you don’t need a witness. Prior to enabling Storage Spaces Direct, make sure that your disks can be joined into this pool. The cmdlet is being processed long enough (about 10 minutes), all available disks and their performance will be analyzed and a cluster pool will automatically be created. Also, two tiers are created automatically: Performance and Capacity, having different failover types: mirror and parity, respectively. Mirrored (3) – the data are synchronously replicated between 3 (or 2 in minimal configuration) nodes. High reading speed is reached due to distributing the operation between all servers. Parity (2) – the data with parity information are distributed among different disks. Data storage is more efficient since you don’t need to store several copies of the same data. Tiered (1) – a combination of both above mentioned methods. It is true – in all cases it is RAID. The solution is to update drivers or firmware of the controllers (if you have HP servers, install the latest HPE Support Pack). Check the BusType again. (now it’s changed to SAS). Note 2. If SSD or NVMe type of disk is detected in the array, it will be automatically used as a cache storage. If there are no such disks, some warnings will appear during S2D creation. You can disable cache using the -CacheState Disabled parameter. Open the Failover Cluster Manager and make sure that Cluster Pool 1 has appeared in the Storage section. After selecting the pool, you can see what disks it consists of. If you have to create a volume from the specific disks, you can use this command. First, select all LUN 3 disks and collect them into the pool. $HDDs = Get-PhysicalDisk | ? PhysicalLocation -like "*LUN 3"
$HDDs = Get-PhysicalDisk | ? PhysicalLocation -like "*LUN 4"
Disks marked as S2D are not displayed in the Disk Management console any more, and it is OK.
A new CSV will appear in the Disk Management. This volume can be used to hos Hyper-V virtual machines or a Scale-out File Server shares. So, using Storage Spaces Direct of several servers with local disks, you can easily create a software network storage. Due to S2D, fault tolerance of both any pair of disks or servers (4+ node cluster) is provided. S2D cluster automatically starts the process of data reallocating between the rest devices if any faults of disks or servers are detected. In the test environment you can make sure that when you disconnect any two disks, the storage is still available, and VMs on it are running. How to replace a failed drive in the S2D storage I will describe in the next article. I am trying to setup S2D on Virtual environment. I am using 3 node cluster with node majority. Each node have 4 disks. Every time I tried to enable S2D, it fails after 1 hour 1 min with error. Have a come across such situation? any fix available for this. Yes, we have the same problem on 2-node cluster with FileSharing Witness. Installed on 2x HPE DL360 Gen10, running Windows 2016 Datacenter with all Security Fixes. Cluster verification OK (no errors). But Enable-ClusterS2D script timeout after 1 hour, 1 minute with error id 1460. I could not find any fix too. Have you tried to update the firmware on the drives? In my case, the s2d cluster is no initializated due to the fact that WindowsServer2016 was installed in the Legacy mode. After reinstalling the OS in the native UEFI mode, the problem disappeared. It seems that S2D isn’t available for us. 🙁 Even with disks connected to HBA240 in HBA mode we don’t succeed. We have to spend huge money to 2x HPE Nimble Storage (we need HA SAN storage).